Paymentwall Bot for Telegram help you to connect your Merchant Bot with Paymentwall to accept payments for goods and services from users. You’ll also have access to our top-notch risk management and fraud protection services , optimization assistance, 24/7 live customer support and detail analytics and reporting tools. The tutorial guides you step by step to successfully connect the Merchant Bot with Paymentwall. 2.2. 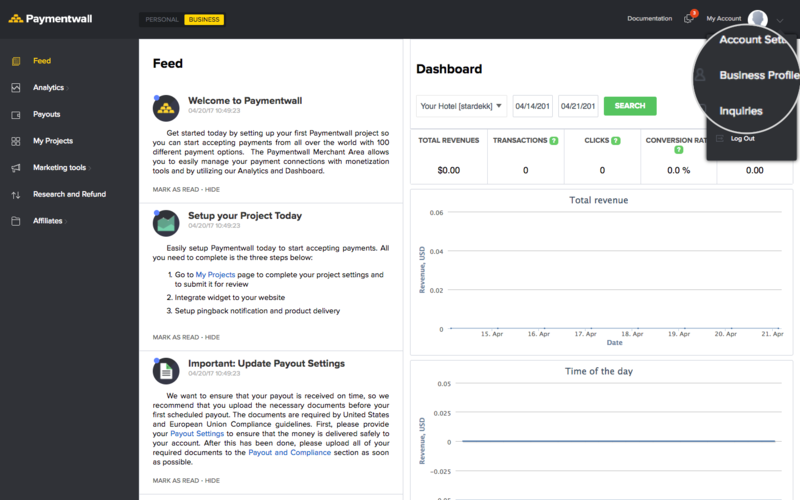 You will be redirect to Paymentwall bot with the Authorize button. Click on the button to login or register your Paymentwall account. 2.3. After the authentication, you will be redirected to @botfather with the new token. 2.4. A new [telegram] project will be created under My projects section in your Paymentwall account, with Brick credit card processing enable. Please see the introduction to payments for more details on the process and how to set up payments for your bot. Please note that users will need Telegram v.4.0 or higher to use payments (released on May 18, 2017). 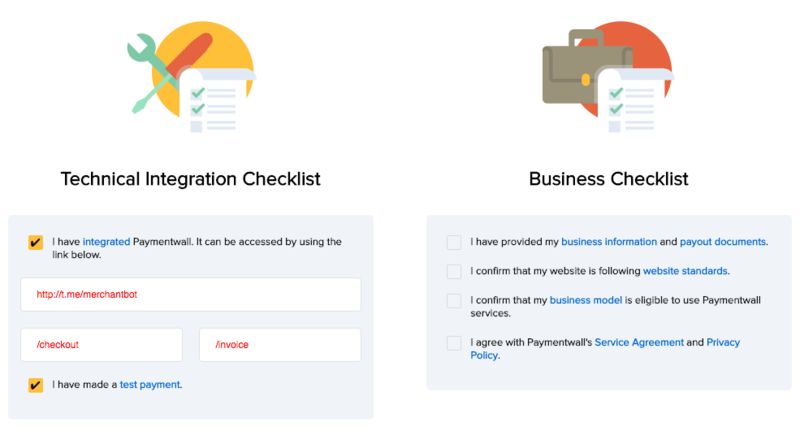 When you‘ve tested everything and confirmed that your payments implementation works, you’re ready to switch to LIVE MODE. To do this, in @botfather choose your bot and go to Bot Settings -> Payments -> Connect to Paymentwall Live Bot. Go back to your Paymentwall Merchant Area -> My Projects, you will see your new [telegram] project created. Submit this project for approval by pressing the Submit For Review button. Fill in your bot link, put checkout commands in the test and password field in the checklist as below.